OPI Nail Polish, Is Mai Tai Crooked?, NLH68, .50 fl. oz. 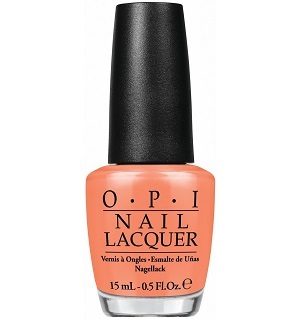 Light, muted cantaloupe orange creme nail color.